How much does Focus charge sellers to represent them as their Seller’s Agent? Real estate commissions typically aren’t transparent, but we want to change that and be very upfront with the cost. As a seller, you pay both the seller’s agent and the buyer’s agent. The total of these two fees are negotiated between us as the listing agent and you as the owner. It is negotiable, there is no “standard” fee. 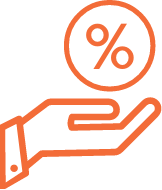 We typically charge at total of 5.1% to 5.3% of the purchase price as our total commission. Of that, 2.8% goes to the buyer’s agent and 2.3% to 2.5% goes to us as the seller’s agent. Out of that commission we are paid, we pay for the cost of the professional photographer as well as a staging consultation with a professional stager/designer. We will also cover a percentage of the staging costs to help your home shine. (The exact percentage varies by deal, but on average we cover half the staging cost.) Note that the staging is paid by you at the time the staging is installed and we pay our half at the time of closing via a reduction in our commission. If, for any reason, the home does not sell you bear the full cost of the staging. If you decide we are not the right agent for you for any reason, you can also cancel our agreement at any time and we are not owed a fee. Will someone take advantage of this at some point? Maybe, but we believe in the service we provide and we want extremely happy sellers! All of this information will be further detailed in the Seller’s Agent listing agreement which is signed once we decide to work together.